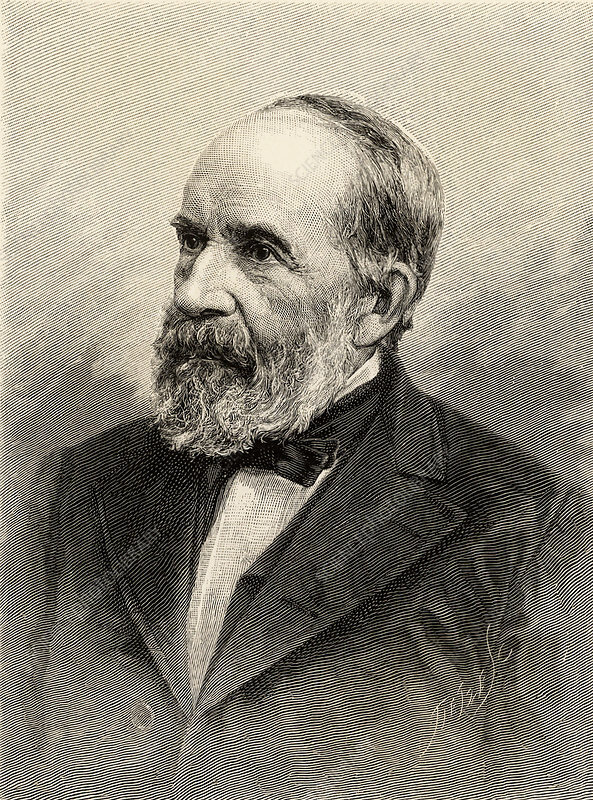 Leo Lesquereux (1806-1889), born in Fleurier, Switzerland, he emigrated to America with his family in 1847 and settled at Columbus, Ohio. In the 1830s an illness rendered him deaf. A bryologist (expert on mosses and liverworts) and palaeobotanist, he assisted Louis Agassiz with the botanical part of his Journey to Lake Superior, and after William Sullivant's death in 1873 he completed his work on American mosses. Engraving, 1896.